Overview: The 2016 Chevy Malibu, with its attractive new design and entirely new body structure, was a finalist for the North American Car of the Year award and ranks among the best in the midsized sedan segment. That says something when you consider the competition — Toyota Camry, Honda Accord, Kia Optima, Ford Fusion, Nissan Altima and Maxima. 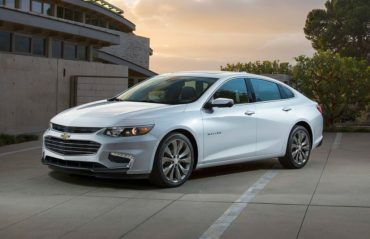 Despite adding 2.3 inches to its overall length and 3.6 inches to the wheelbase, the Malibu is still at the smaller end of the class. Using more high-strength steel means slimmer roof pillars for improved visibility, while sculpted body panels meet in stretched proportions, allowing headlights and air intakes to sit atop an enlarged, lower-set twin grille. Interior: The understated cabin is surprisingly spacious and serenely elegant, with abundant soft-touch surfaces. The old two-tiered dashboard was replaced by a more conventional design with buttons used for some controls while the center stack is home to larger MyLink infotainment screens. Rear legroom is ample, although headroom is a bit restricted by the plunging roofline, but still among the best in this class. The seats offer ample bolstering as well as sufficient support for long journeys. While wind and road noise are fairly unnoticeable, you may feel rough pavement. Trunk space is 15.8 cubic feet. 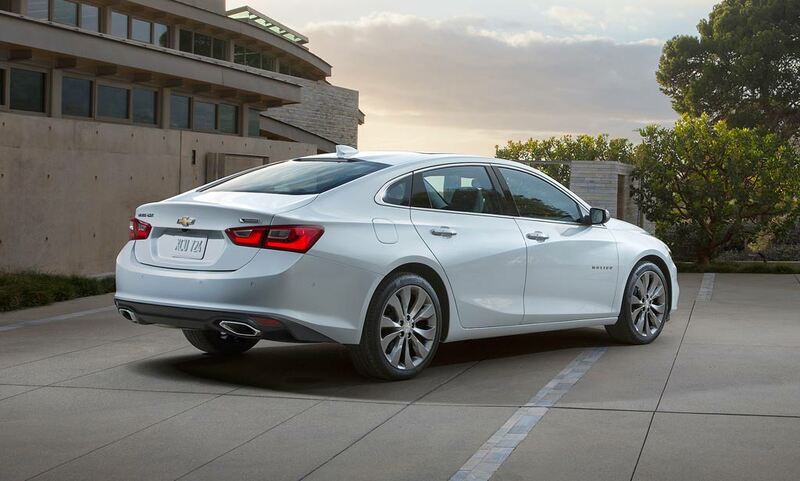 Behind the Wheel: On the road, the new Malibu is nimble and sure-footed, with a suspension firm enough for responsive handling and a comfortable ride. Steering response is strong and precise. The 2-liter 4-banger delivers acceptable acceleration with plenty of torque at low speeds. Whines: Three words: no paddle shifters. Bottom Line: A beautiful new look married to a frugal powertrain and state-of-the-art technology make the new Chevy Malibu one of the best values in this class. Definitely worth your time.